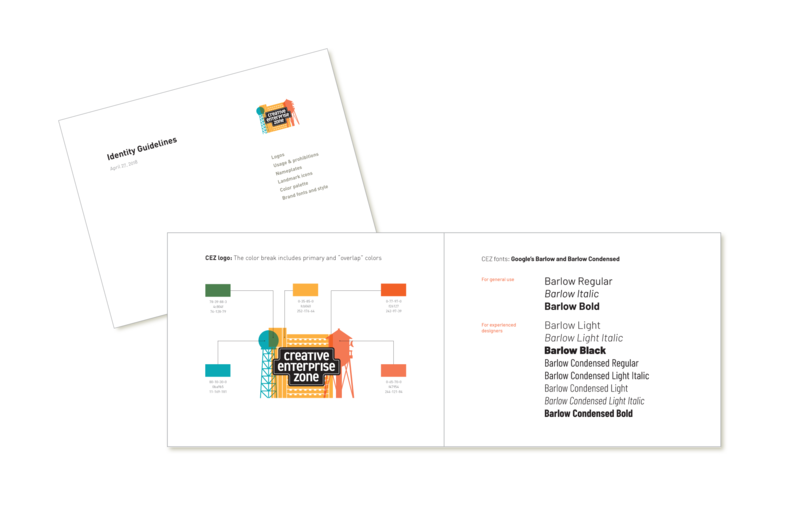 Our firm invested in our new neighborhood by donating a significant portion of our time developing the new identity for the Creative Enterprise Zone. 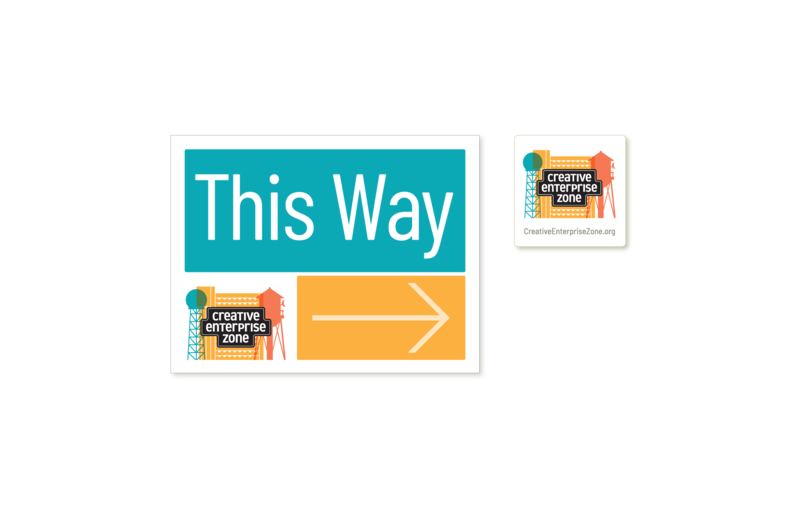 Our collaboration also produced directional signs for events in the Zone and window stickers for businesses and organizations that become mebers of the CEZ. 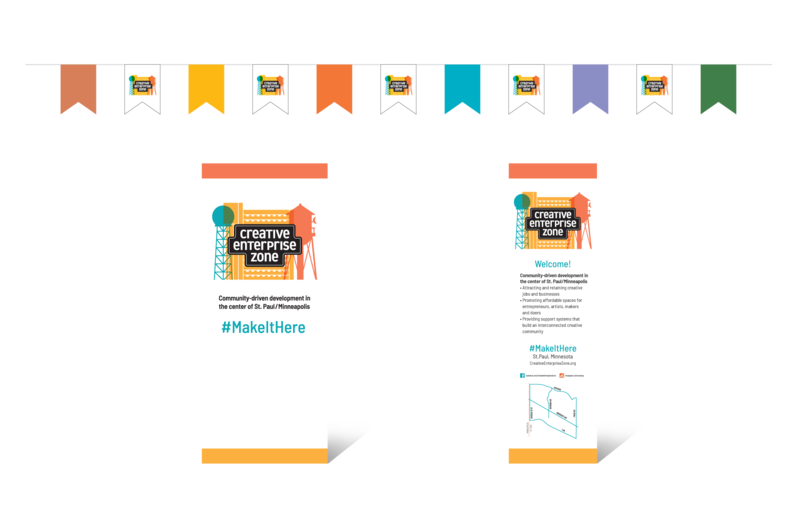 We also created retractable informational and branding banners and pennant strings for declaring their presence at outdoor events. See the story of our collaboration on the Creative Enterprise Zone website.